Follows the progress of a Master Suite Addition: bedroom, bathroom and laundry room. I’ve been getting my hands dirty doing yard work ever since I can remember. My Dad first put me to work helping him pull weeds not long after I started walking. By the time I was in kindergarten, when most kids are first learning to ride a bicycle, I was driving a riding lawnmower (we had a big lot in the country). A couple years after that I was tasked with prepping the vegetable garden and flower beds using a rototiller each spring. I also helped my Grandmother who lived next door. It sounds like a lot of work and it was, but I loved it… most of the time. Anyone who has done even a modest amount of gardening knows it can involve some back breaking tasks at times. 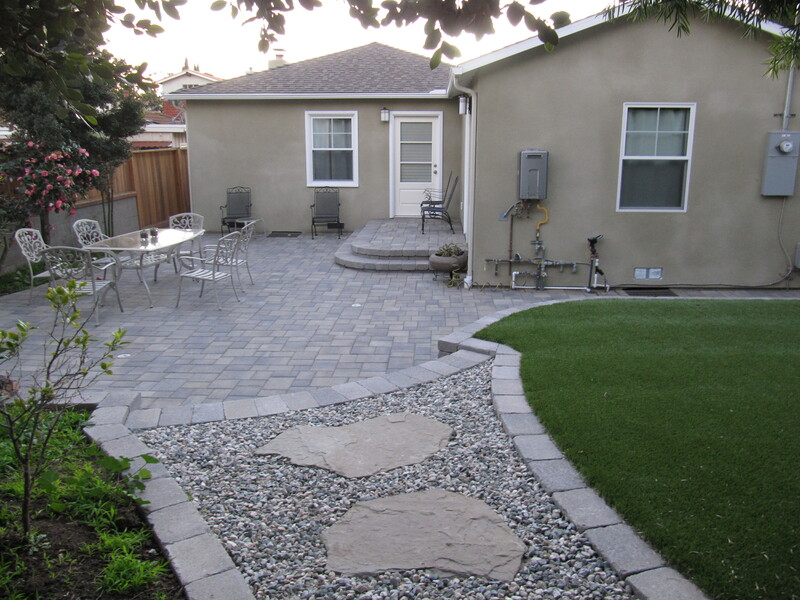 However, that pales in comparison to how hard the landscaping crew worked daily for over a month turning piles of dirt left by the building contractor into a beautiful patio and backyard. The landscape contractor had originally estimated 2 weeks, but it took more than twice that amount of time, just like our master suite addition. From here on out I will always double any contractor’s time estimate.